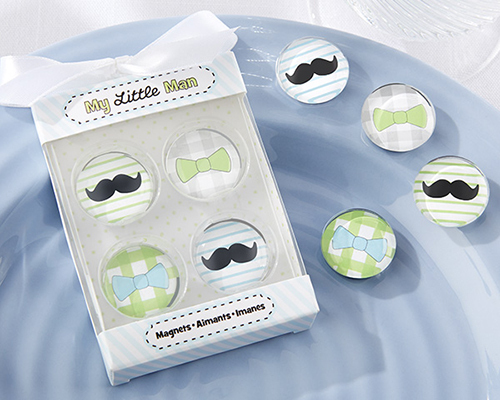 These gorgeous magnets are a perfect baby shower or party favour to celebrate your little man. Featuring a cute little handlebar mustache, and little bowtie's. Set of Four magnets with a clear curved glass covering the mustache and bowtie graphics in black, white, baby blue and bright green. Comes complete in a gift box measuring 3" high x 2 1/4" wide.